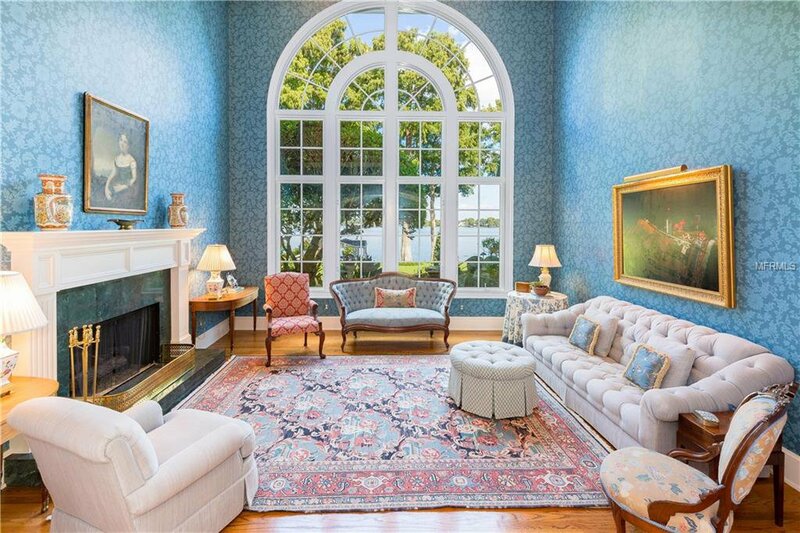 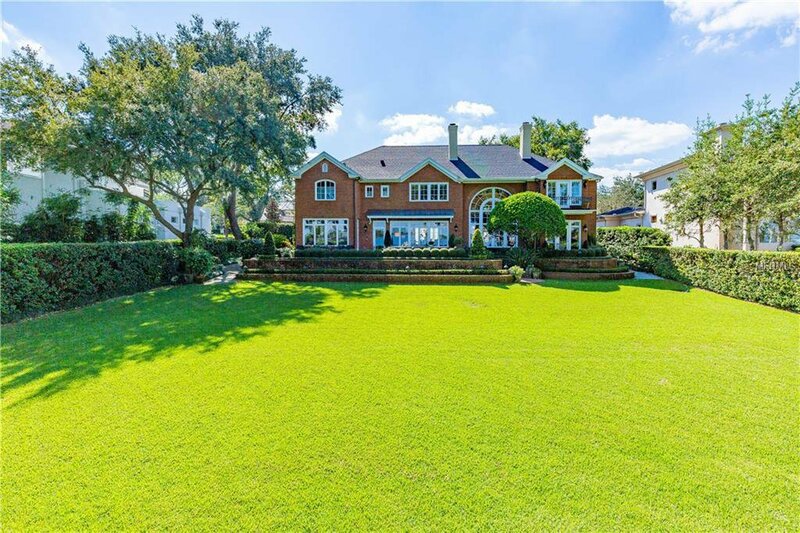 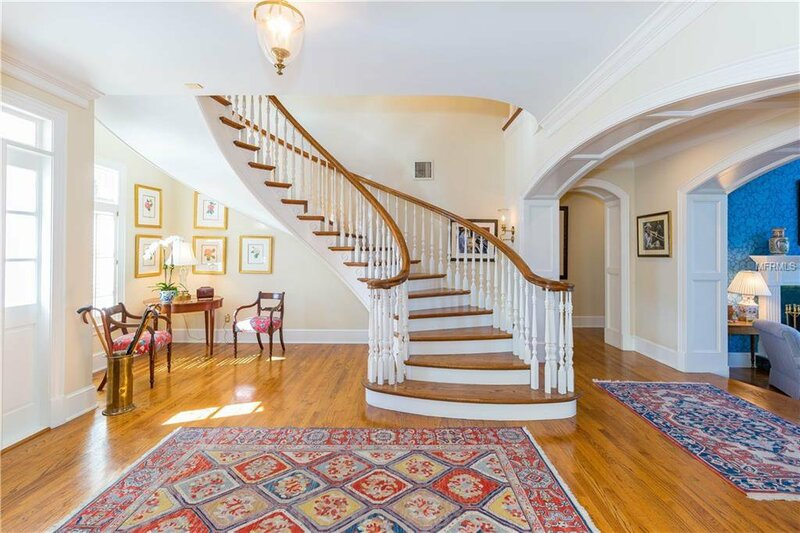 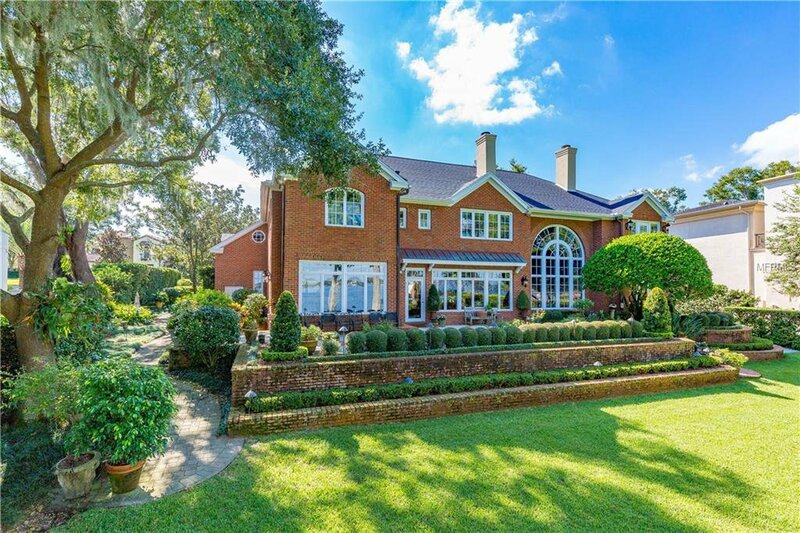 Timeless, classic, sophisticated, and exceedingly peaceful… A once in a lifetime opportunity to live in a premier Winter Park Chain of Lakes estate home on almost an acre, walking distance to downtown Park Avenue. 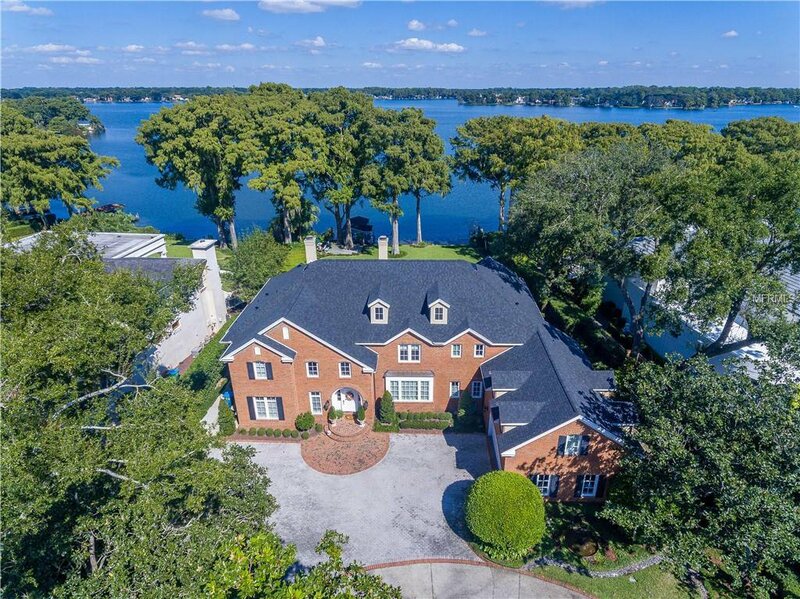 This one-owner custom home was designed by esteemed architect Steve Feller and expertly built by Don Jernigan with high quality workmanship and thoughtful detail throughout. 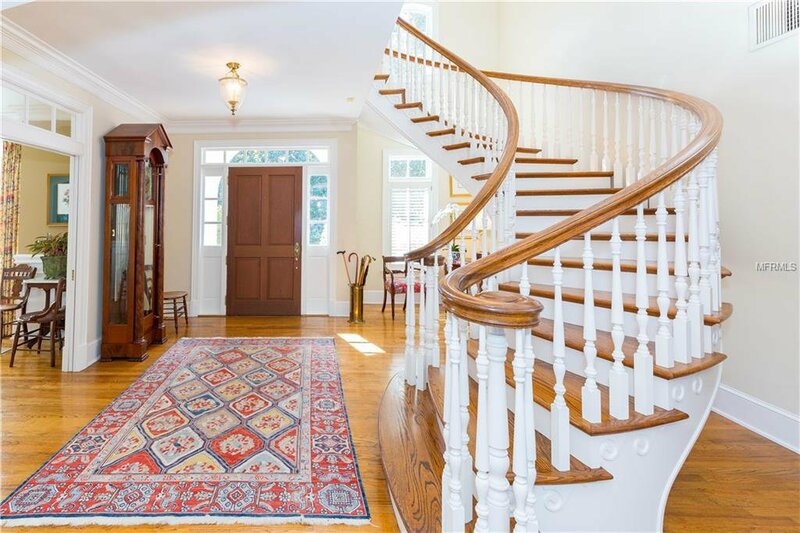 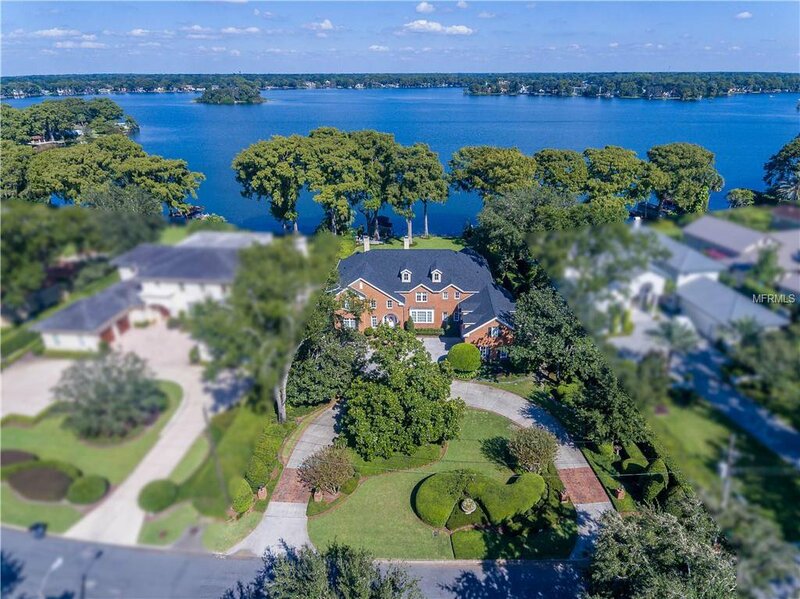 Enter into a grand foyer with sweeping staircase, overlooking the formal living room’s two story wall of windows showcasing beautiful Lake Maitland. 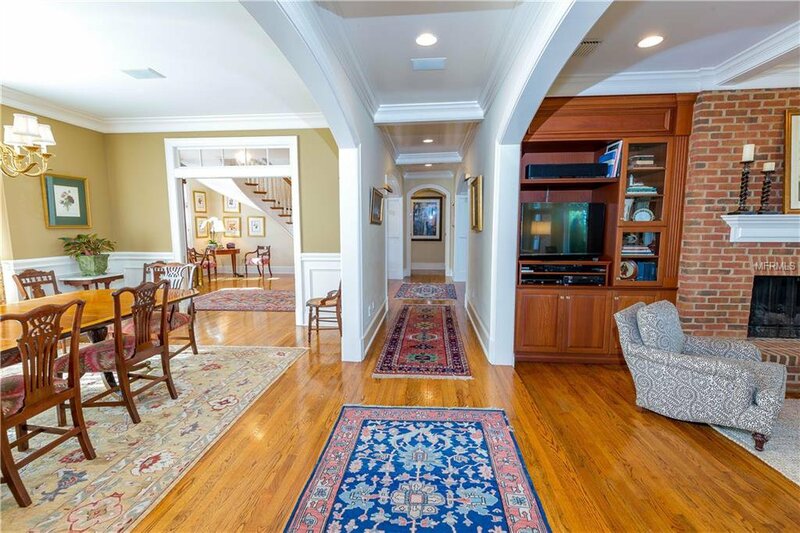 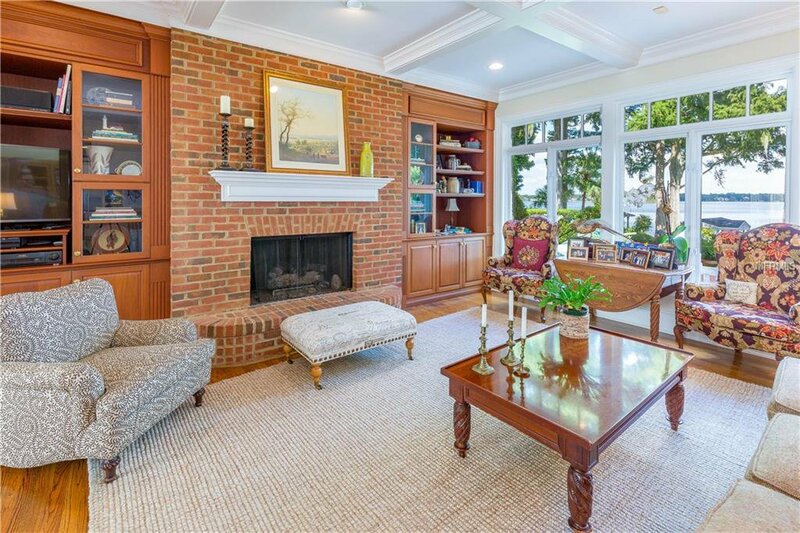 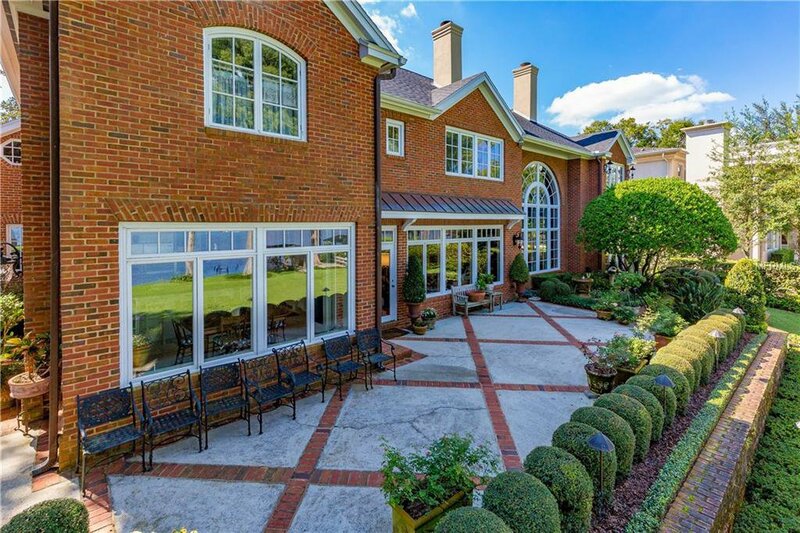 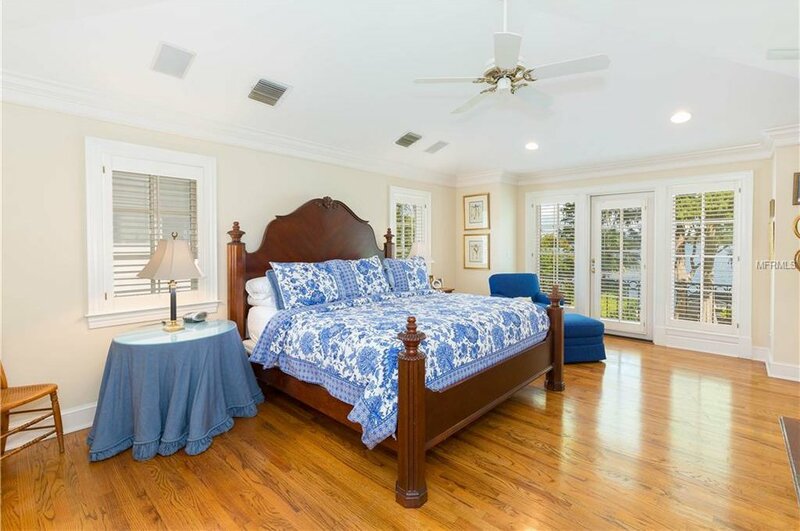 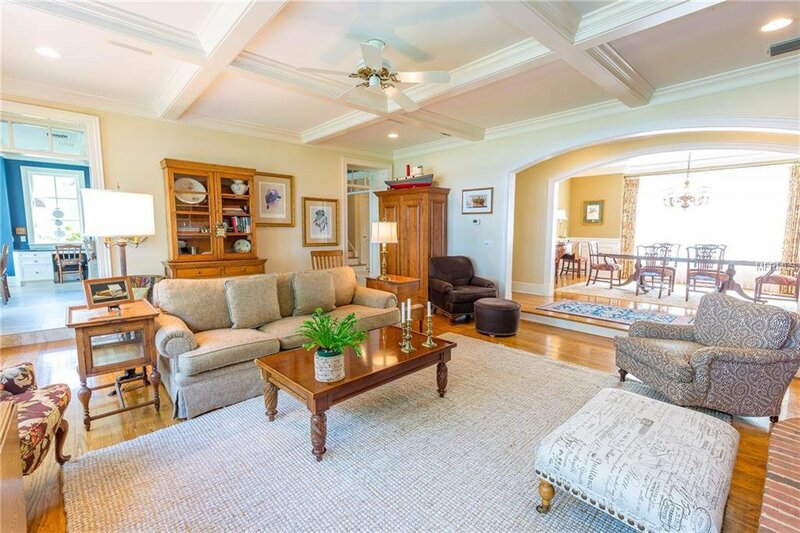 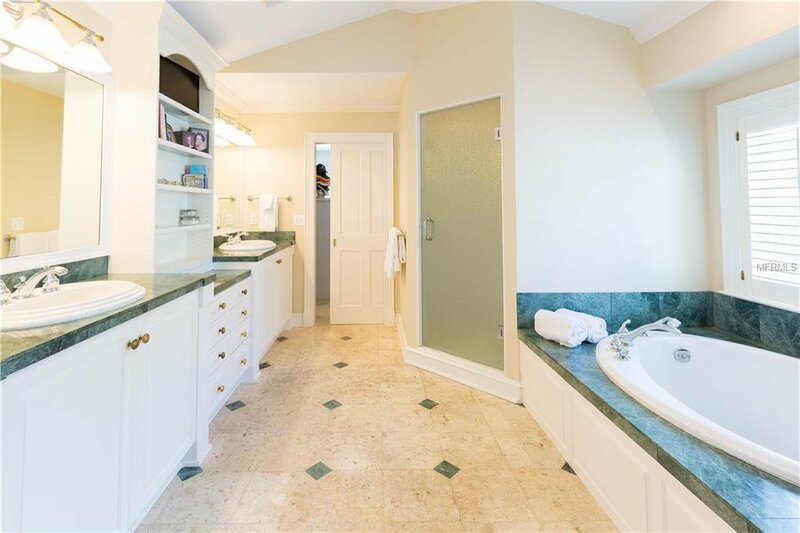 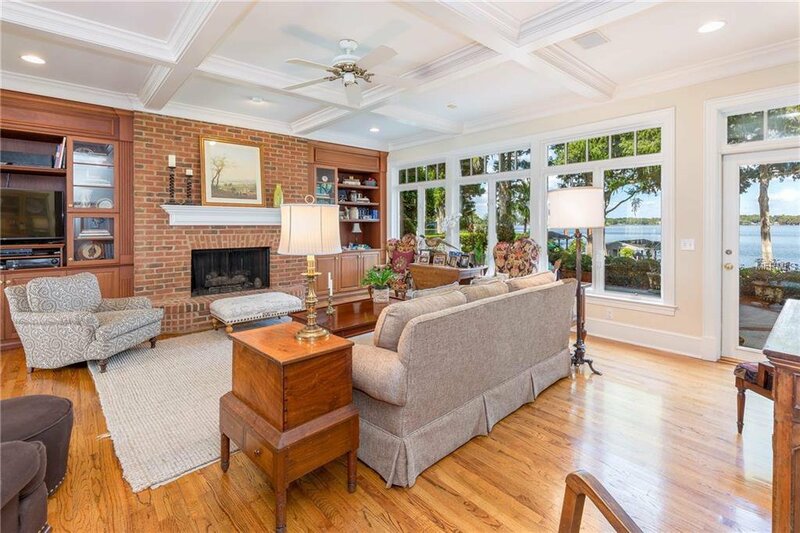 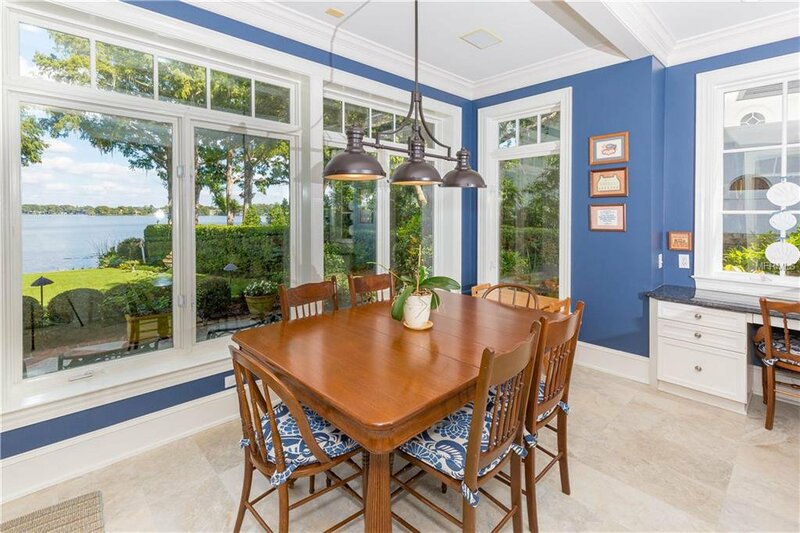 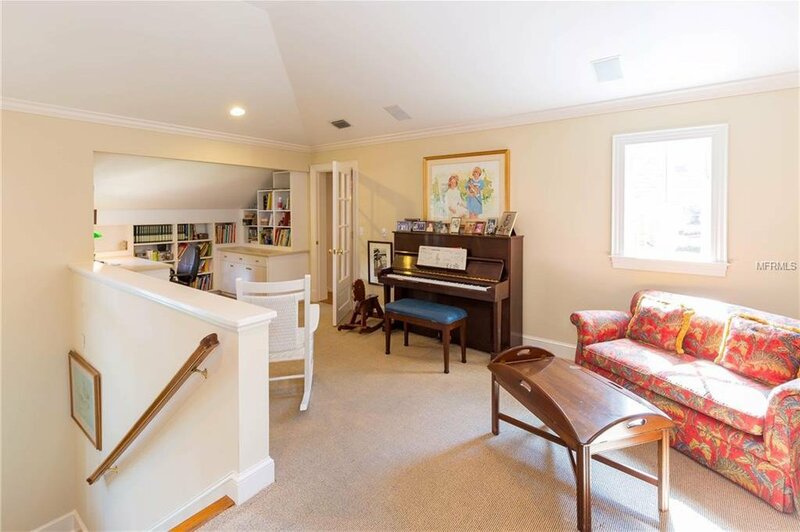 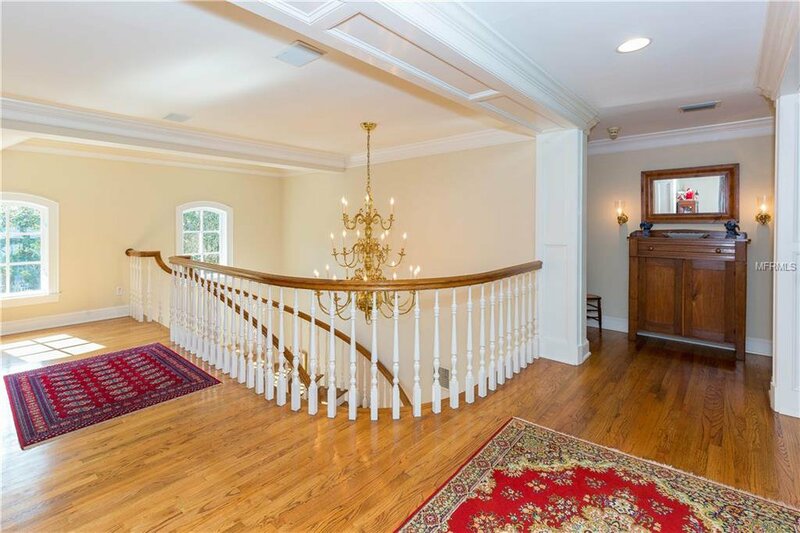 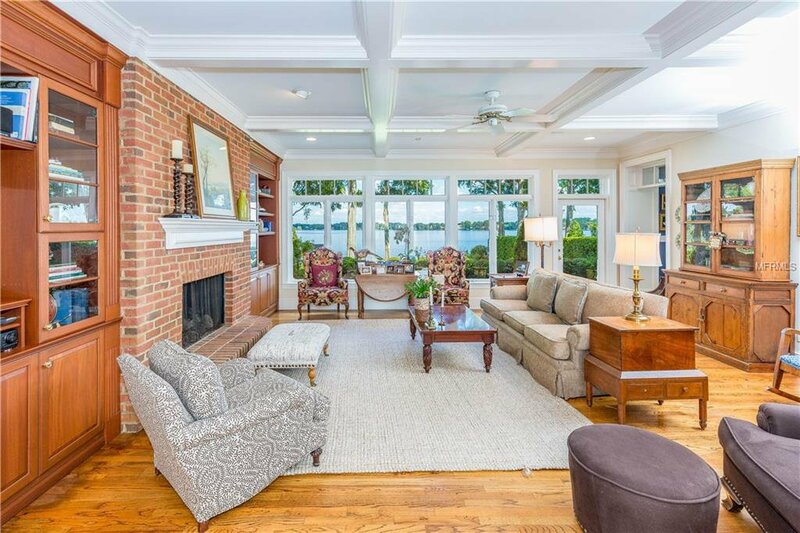 The first floor has large and accommodating spaces, all with lake views, perfect for entertaining with a separate living room, formal dining room, & family room adjacent to the kitchen. 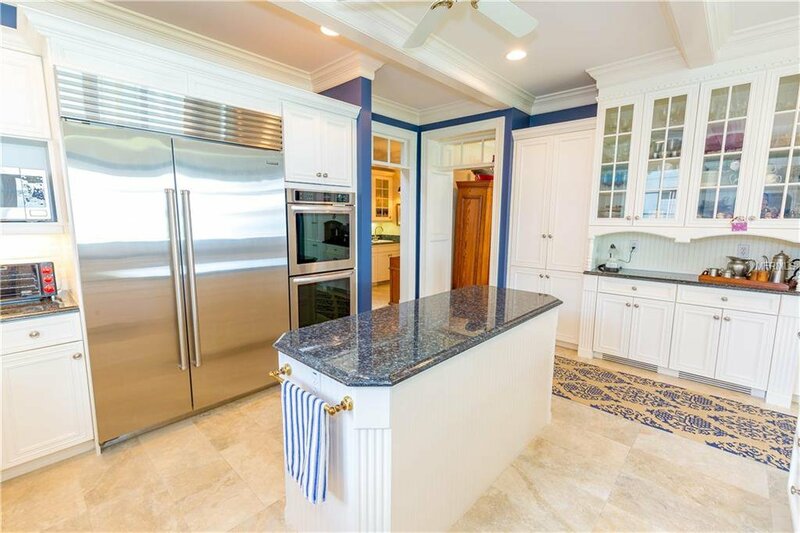 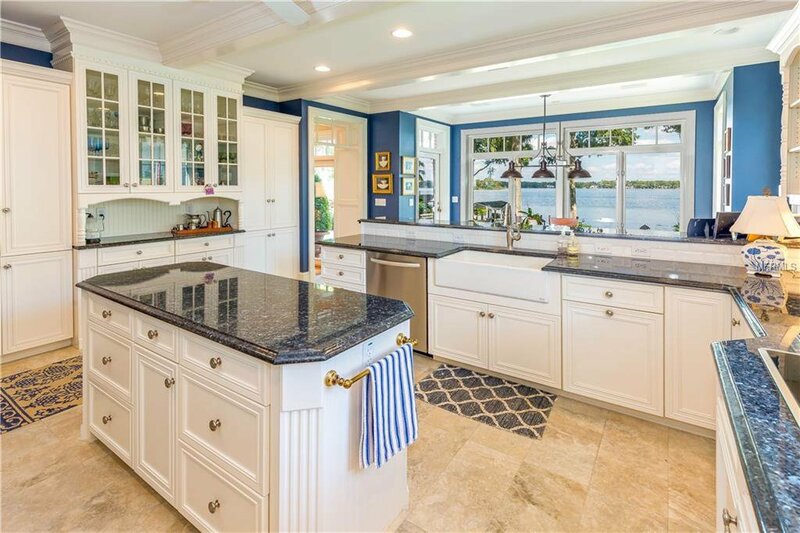 The kitchen was renovated 3 years ago with all white cabinets, a beadboard island, stainless appliances, granite countertops, double ovens, a breakfast bar and large eating nook with abundant windows conveying brightness and light. 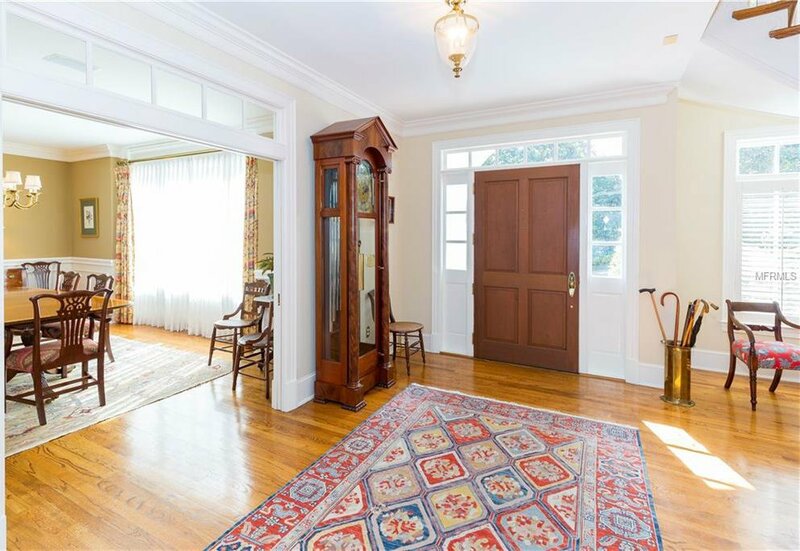 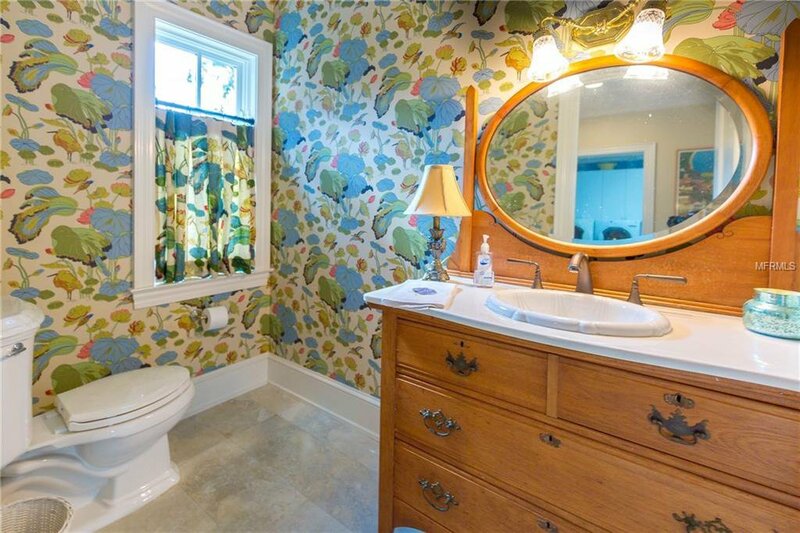 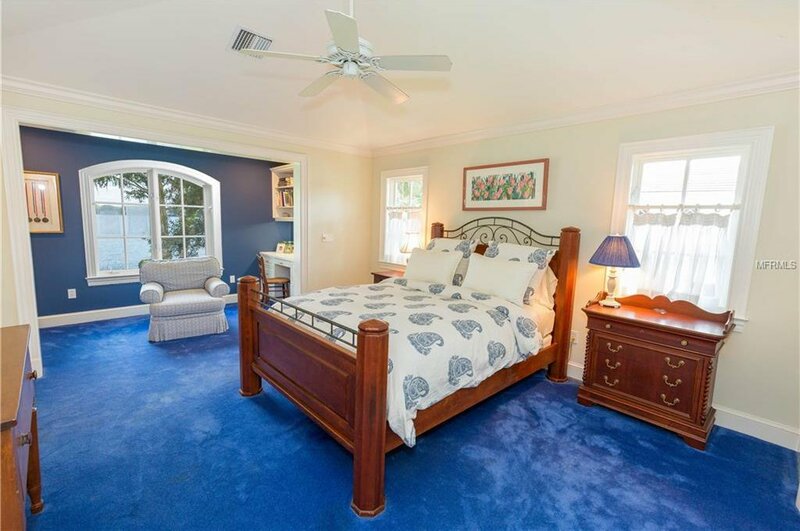 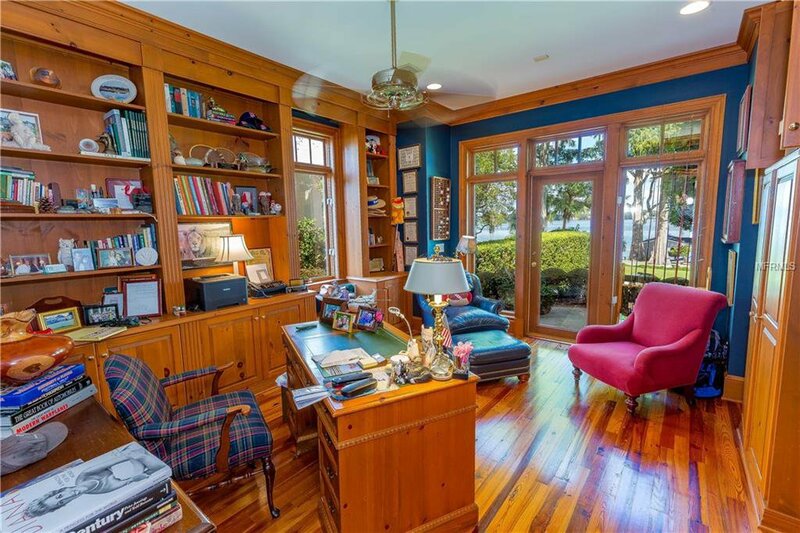 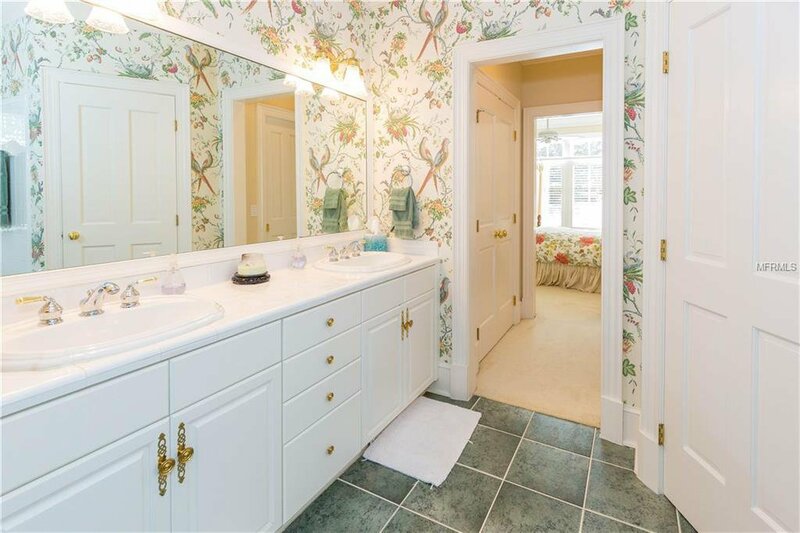 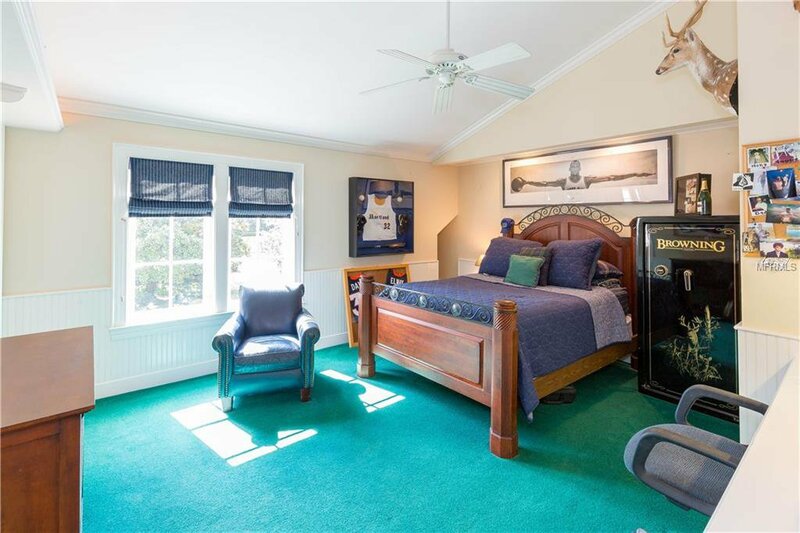 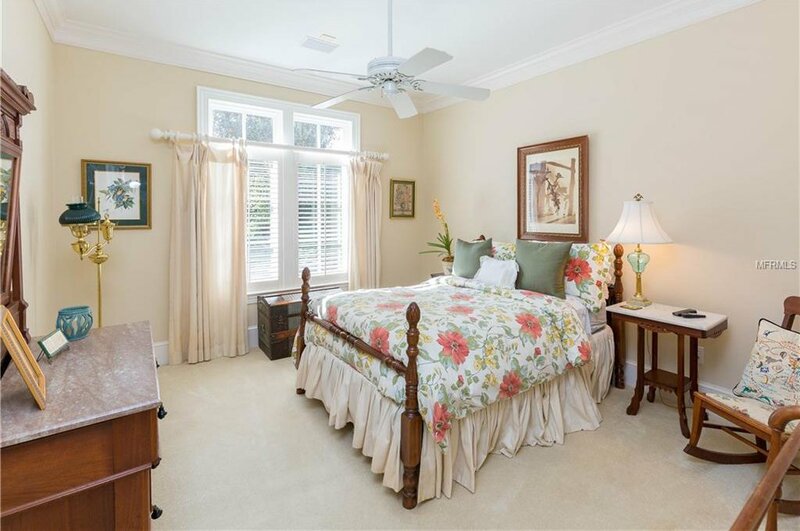 There is also a 1st floor bedroom suite and an elegant, traditional home office with paneled walls. 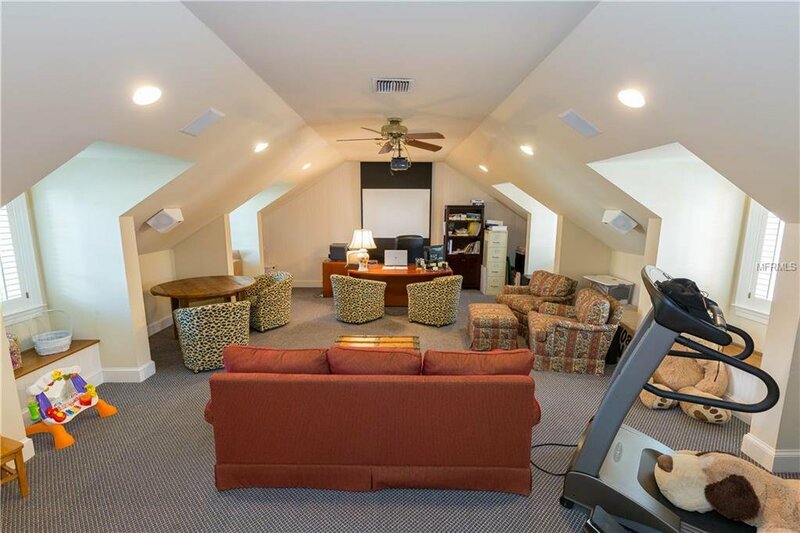 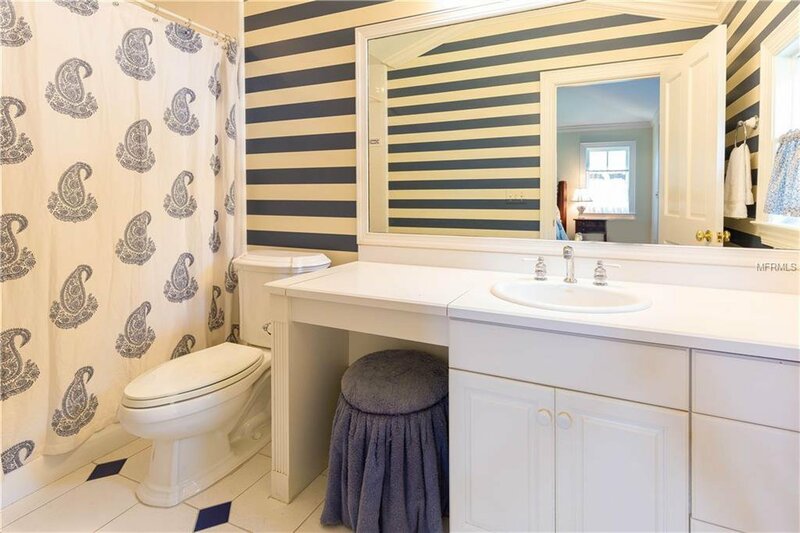 The 2nd floor has a master bedroom suite with large bathroom and huge walk-in closet, as well as 3 additional bedroom suites, a bonus loft, & media room with bar area. 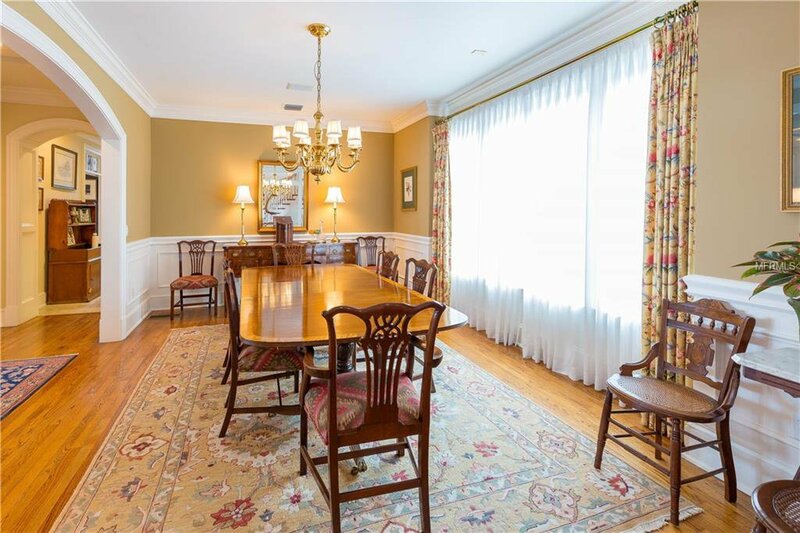 Features include fireplaces, crown molding, hardwood floors, French doors, coffered ceilings, built-ins, and lots of storage. 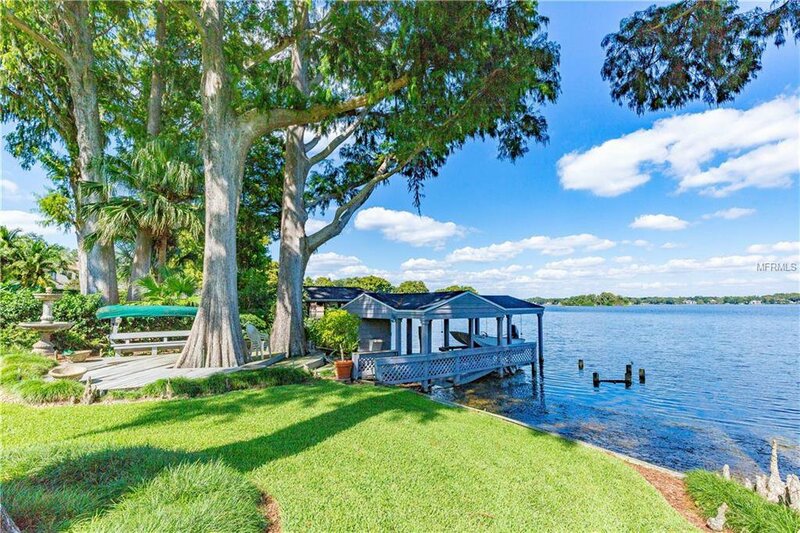 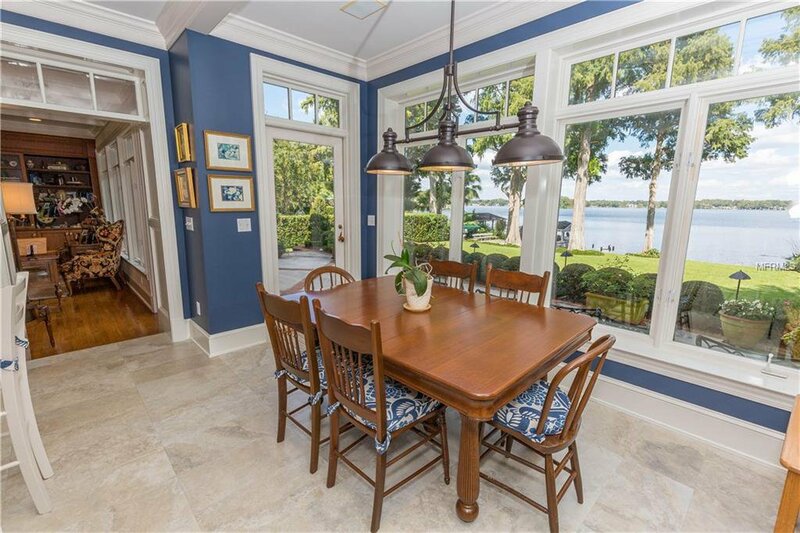 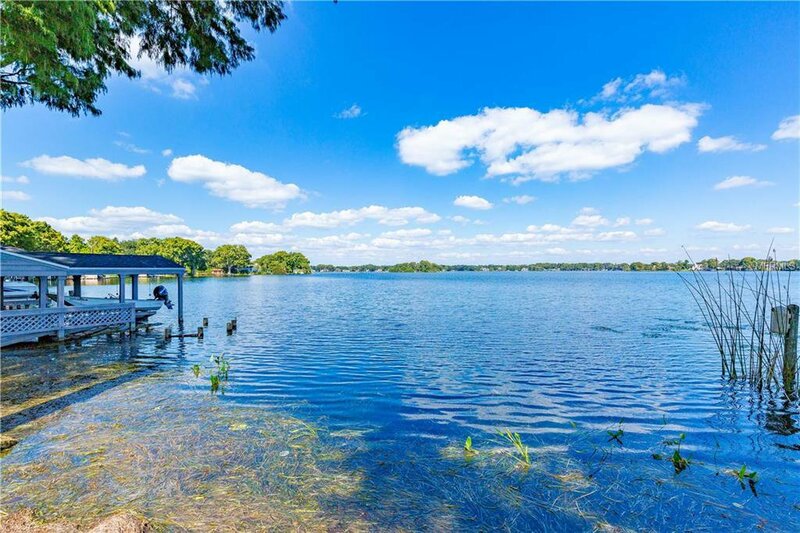 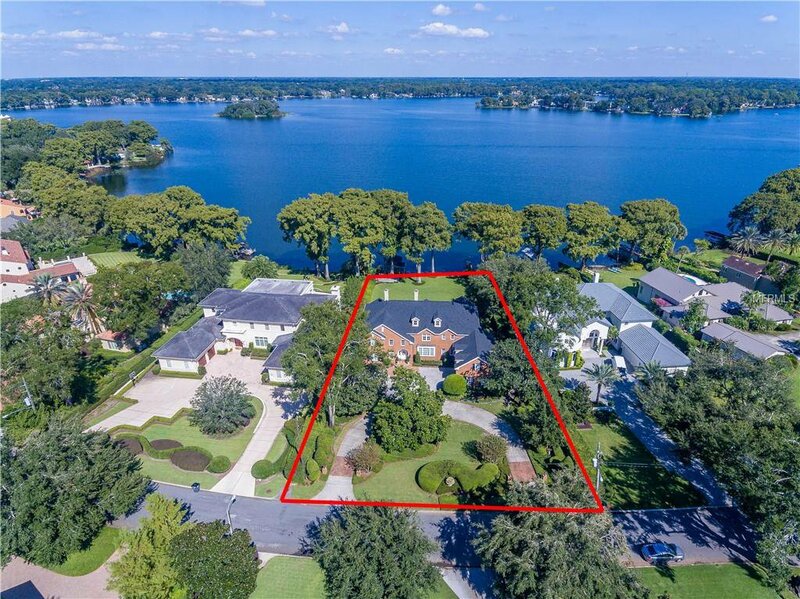 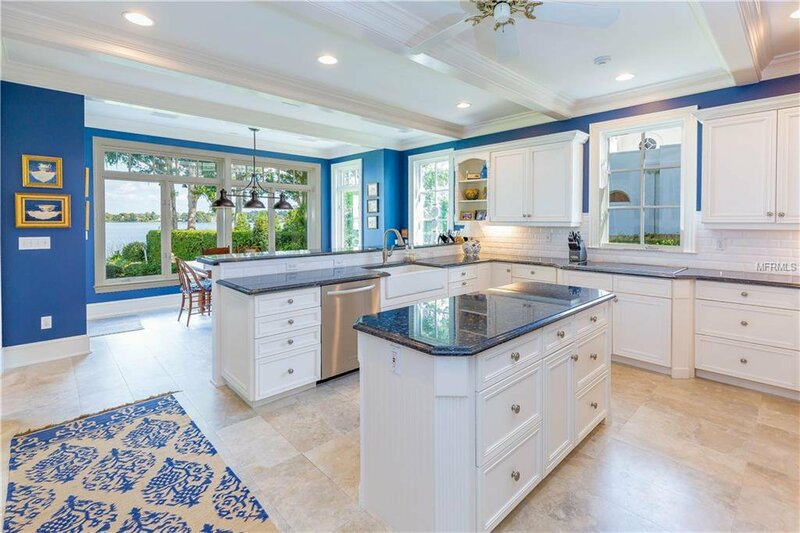 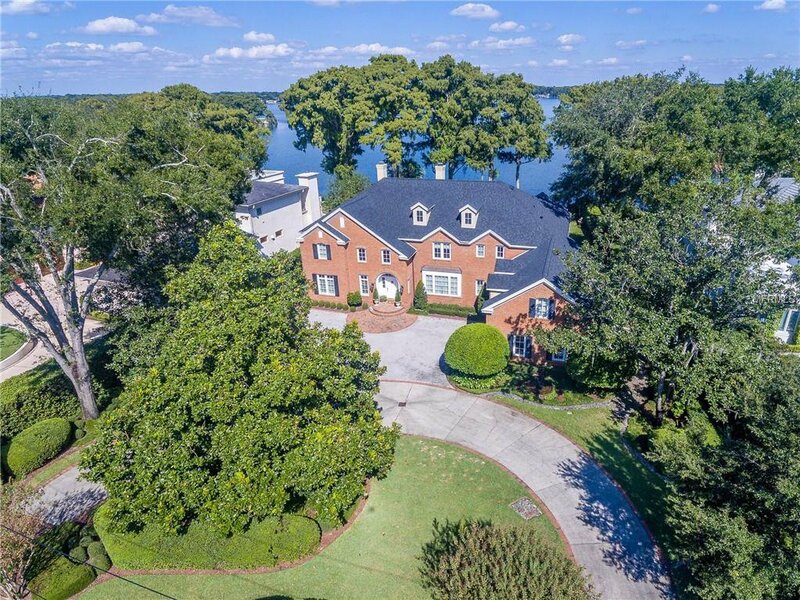 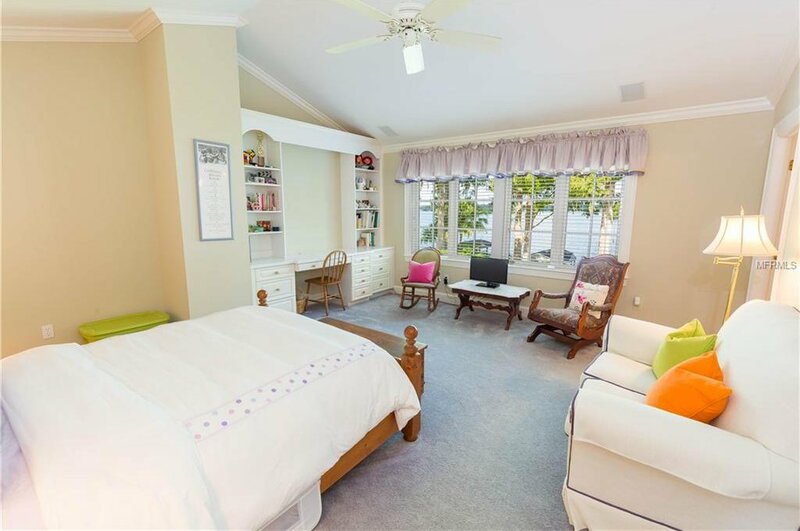 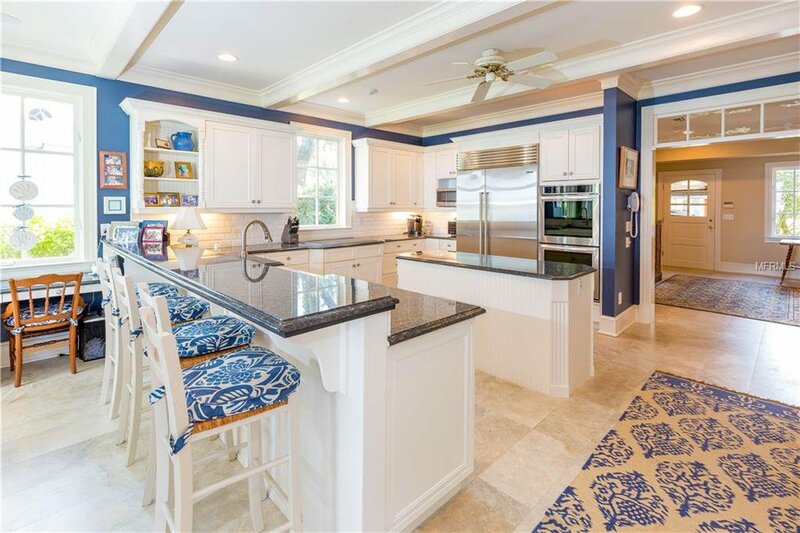 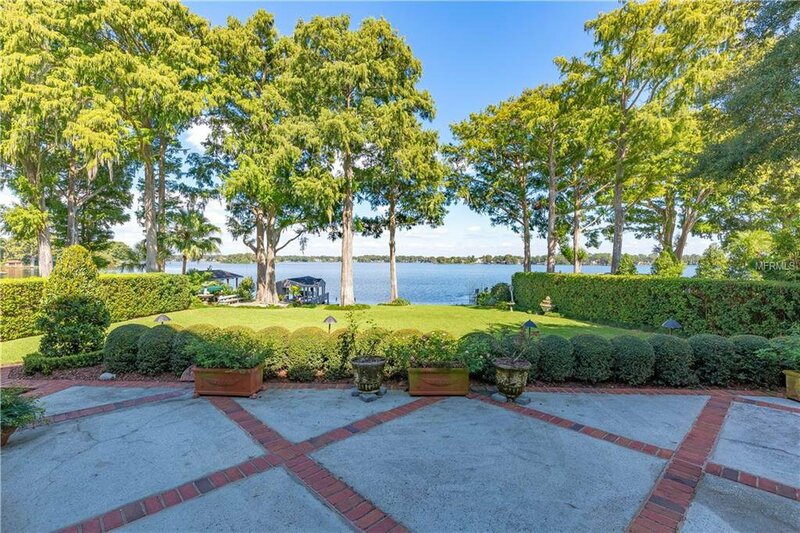 Appx 119’ of lake frontage, perfectly manicured lawn, boat house & dock (as is), 2 car garage with capability to add 3rd, and zoned for Dommerich, Maitland Middle, and WPHS.